This is the toy which introduced our family to the brilliant Fun Factory range. We gave the Castle Blocks to our son soon after he turned 3 and we have spent countless hours building everything from camp sites to schools, and a good selection of castles of course! The size and variety of blocks in this set makes almost anything possible - whilst still 'keeping it simple'. There is enough detail in selected pieces to start the story rolling, but with no set end point, your child's imagination will run wild - and you'll both have so much fun in the process. Nothing delights me more than the amazing stories my little boy makes up, and the enthusiasm with which they come together! This is a superb toy for developing fine motor skills. The blocks balance on top of each other as they make two, three, and even four level structures, and the cylindrical rods can become tall columns or supports for other structures to be built upon balanced wooden planks. Included are a few vehicles, people and trees so it's not just about the buildings, but the whole story! The wooden tray provides the perfect base for building. 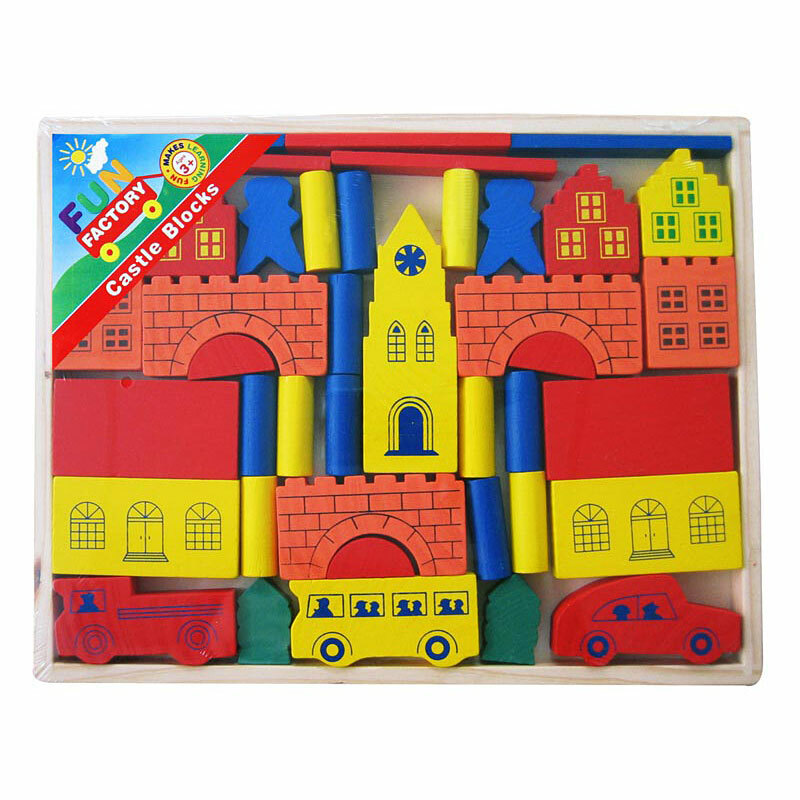 Another super-affordable, wonderfully-designed educational preschool toy by Australian wooden toy maker, Fun Factory.